April 1939. 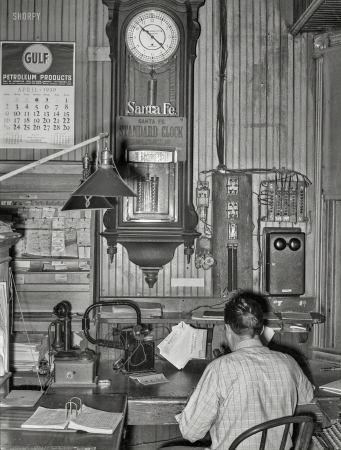 "Office of train dispatcher and Western Union. San Augustine, Texas."